This hot weather is perfect for a summer smoothie and when I was challenged by LactoFree to create a show-stopping smoothie, I couldn’t wait to give it a go! I was sent a whole load of ingredients to create my concoction and had such fun over the weekend making my own creations. But my favourite included a little ingredient of my very own, Nutella! I think if I could I would try to get Nutella into everything I eat/drink but for this it works perfectly. This smoothie is great if your one not big for breakfast and have a bit of a sweet tooth! 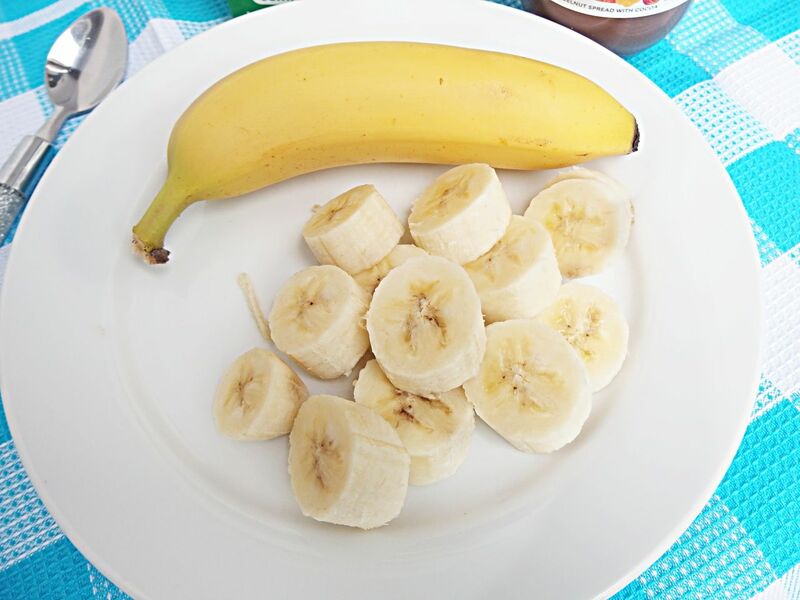 Chop up the banana and add into the blender. 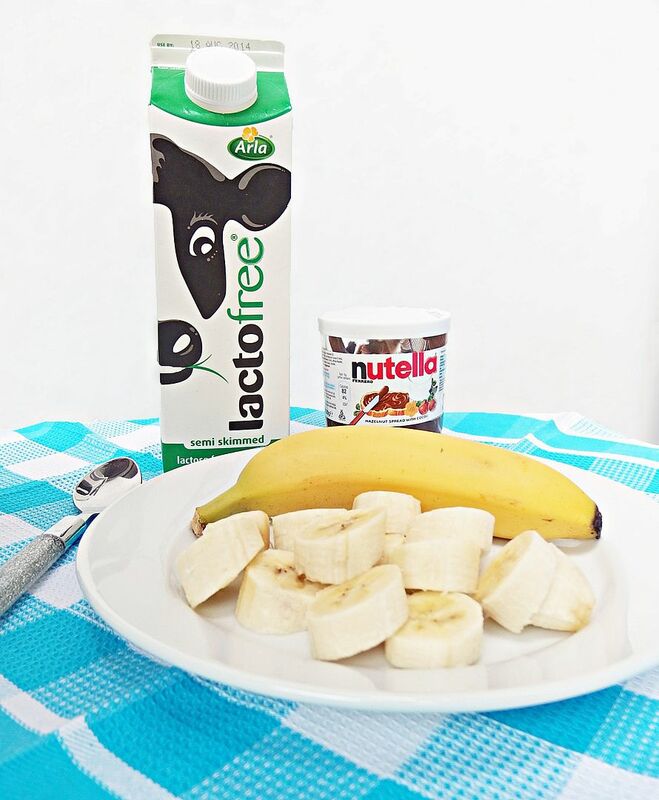 Then add your teaspoon of honey and Nutella, then follow with a glass of milk. My favourite part, pressing the blender, I’m such a kid! Make sure you really blend to mash it all together. 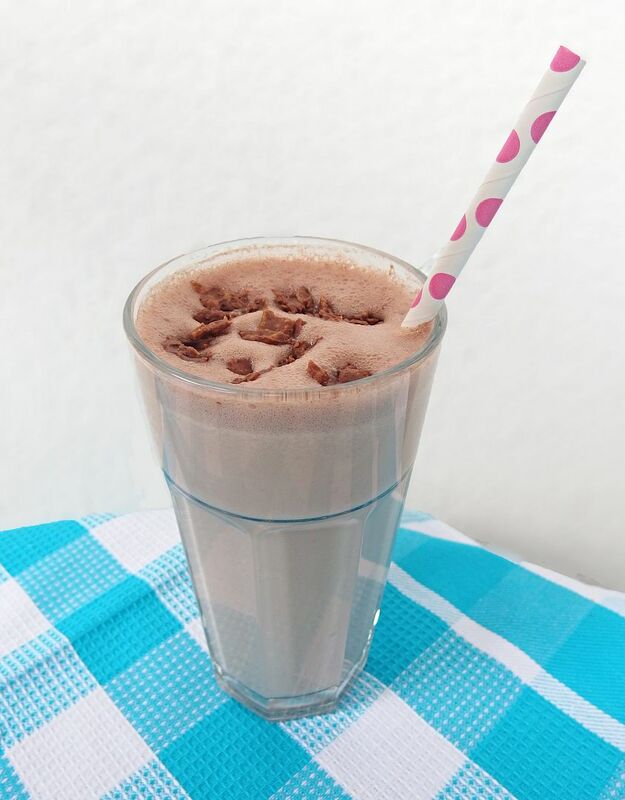 Pour into a tall glass and decorate with cute spotted paper straws. 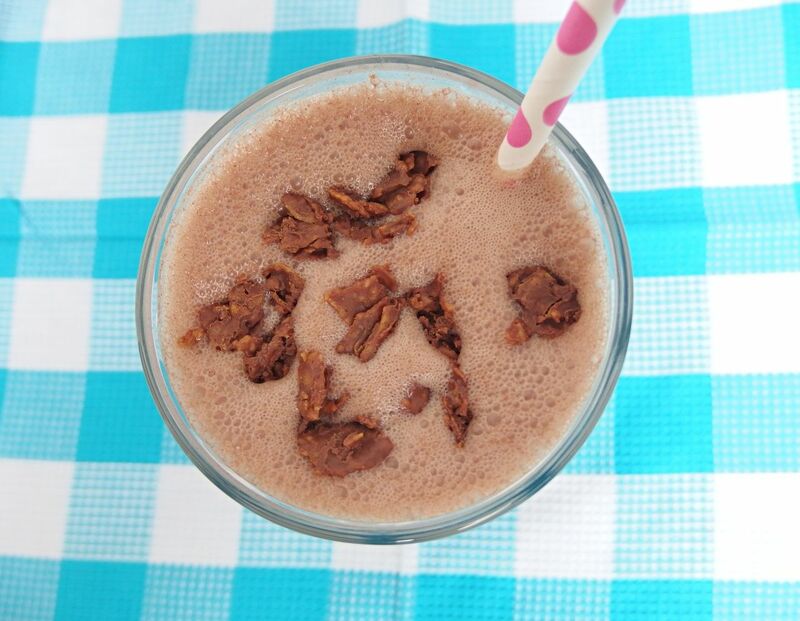 For an extra treat add some chocolate cornflake clusters. Just break them up and decorate on the top. It is breakfast after all! Let me know if you give the smoothie and go and tweet me at @p__ho with #sayyestosummer.